Toners are an integral part of our skincare routine, all of us follow the CTM routine so a toner is a must in our lives. 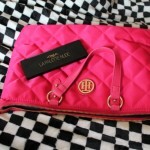 I always like to use alcohol free toners as they are the best for our skin. 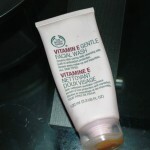 My all time favourite is The Body Shop Vitamin E Hydrating Toner, it is really an awesome toner and I love it to bits. 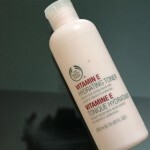 You can also Read: The Body Shop Vitamin E Hydrating Toner Review. 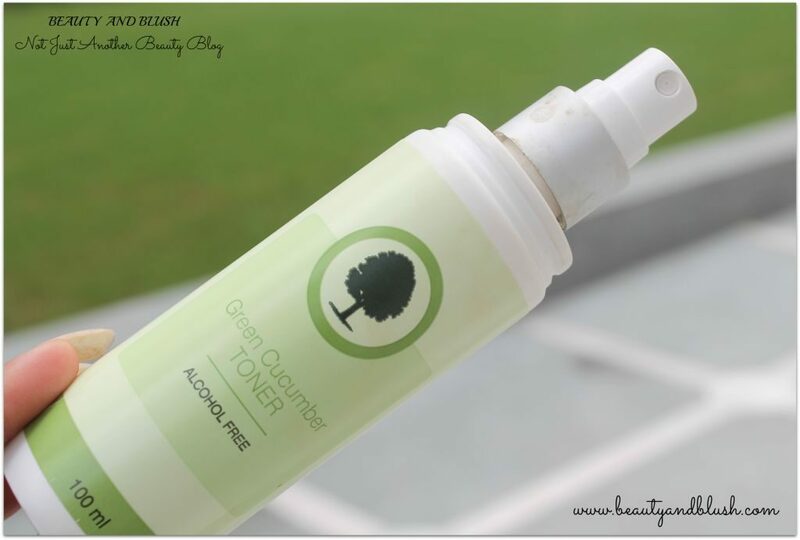 I have tried toners from a lot of brands but I always keep going back to The Body Shop Vitamin E Hydrating Toner but recently one of my favourite Indian Youtuber Shreya recommended the Organic Harvest Green Cucumber Toner in one of her favourites video and as I am always in search of a good toner I thought of giving it a shot. 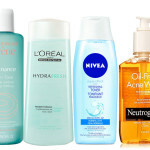 You can also read: The Importance of Toner in our Daily Beauty Regime. Aqua, Cucumber Extract in Water Base. Hydrate and cool skin with this toner. It minimizes appearance of pores, revitalize the skin by effective moisturization of cucumber. Your skin will have morning freshness all round the day. 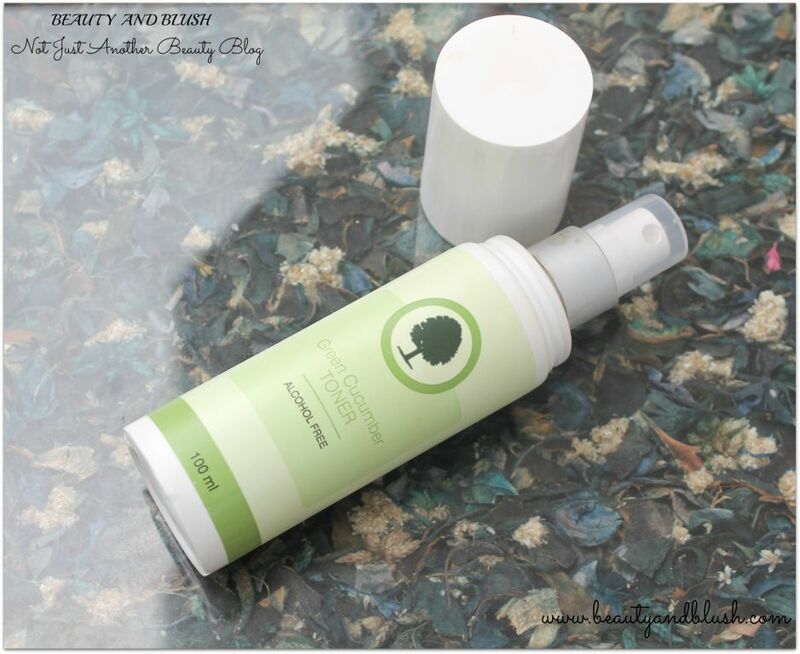 This toner can be used after cleansing for a burst of refreshment. The toner comes in a tall cylindrical all white opaque plastic bottle. 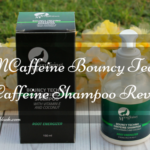 All the information about the product is provided on the bottle. The bottle has a big white pull to open cap. 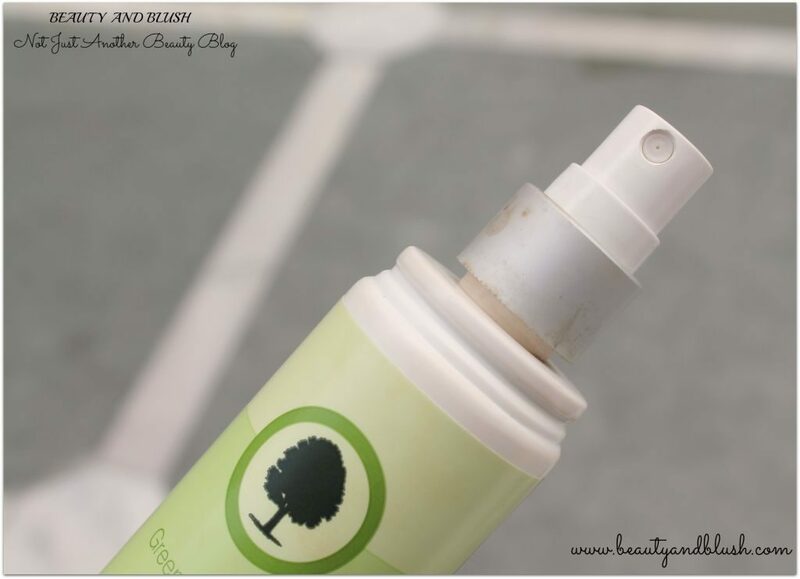 The toner comes with a spray pump and there is a transparent white cap on the top of the spray to keep the pump nozzle protected. I pretty much like when my toners come with a spray pump. The Body Shop toner doesn’t come with a spray pump and that is the only thing that I do not like about it. I like to keep my toners in the refrigerator and after cleansing my face I spritz some chilled toner on my face and it gives me a refreshed feeling. This toner has the most awful smell. I have a very sensitive nose and I have migraine too so anything that is heavily scented or anything that has a very pungent or strong smell gives me a headache. This toner has the most annoying kind of smell. I can’t explain it to you in words but it is sort of a very synthetic artificial smell. As I would like to say, it is a very ajeeb kind of smell. I seriously hate this kind of smell. I literally have to hold the nostrils of my nose when I apply it because if I do not do that it will surely give me a headache. The smell stays on for 10 minutes and then fades off. I thought this is an organic product so it won’t smell like this but it was a disappointment for me. First I thought of throwing it away or giving it to someone else but as it was paraben and alcohol free I gave it a try inspite of the horrible smell. If you are someone with a sensitive nose please stay away from this toner. This is a clear toner with no colour whatsoever. It has a very runny water like consistency. I use it every morning and at night after properly cleansing my face. I take out the chilled toner from the refrigerator and spray it all over my face and neck. It feels a bit sticky on application but after applying a cream the sticky feeling goes off completely. I let it stay on my skin for 2-3 minutes and then I go over with my day and night cream as usual. 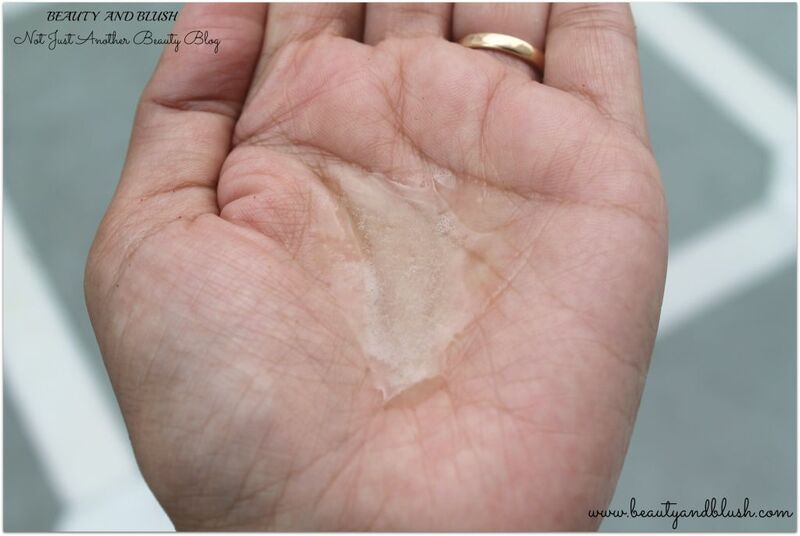 I always get that dry, stretchy feeling after cleansing my face and toners help to relieve my skin of that feeling. This cucumber face toner helps me to get rid of that dry and stretched out feeling and provides a bit of hydration to my dry skin. 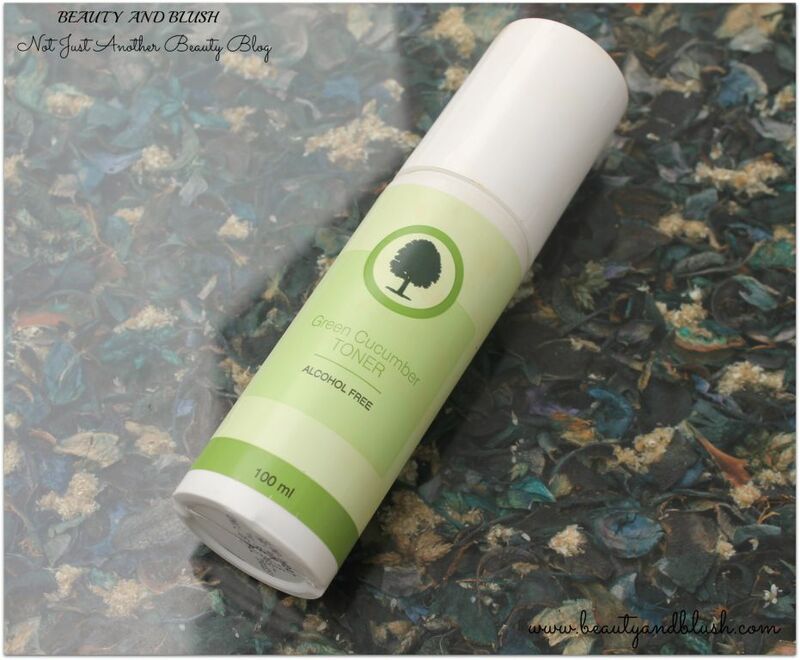 Cucumber is the main ingredient of this toner so it gives a very soothing effect to my skin. This toner claims to minimize the pores on the face but I didn’t notice any difference of pore size at all. Actually I do not have any major pore issue so it was not an issue with me as I was not looking for that factor in my toner. 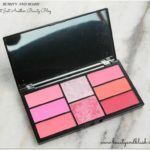 It gives my face a very cooling effect and makes my skin feel plumer. It is an all natural toner, it is paraben free, free of animal ingredient and free of mineral oil so it is a big YAYYY for me. It is also alcohol free so it is not at all drying on the skin. My skin feels revitalized post application. It does everything a toner ought to do so it is pretty good. Makes my skin feel hydrated. Awful smell. I just hate it. 3.5/5. I am deducting 1.50 for the smell as I have migraine issue and this toner has an awful smell. 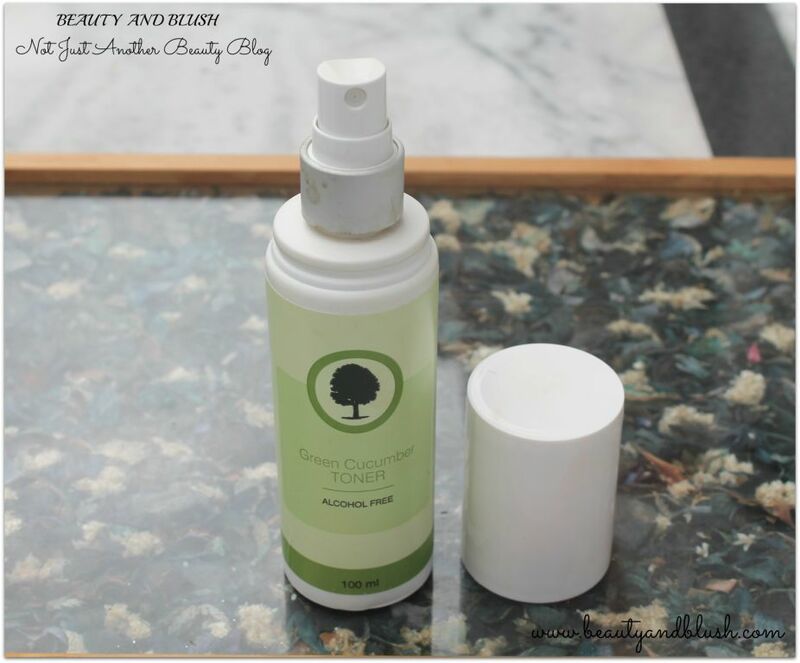 Will I Repurchase the Organic Harvest Green Cucumber Toner? Absolutely No.I pretty much like the toner sans the smell but as smell is a big issue for me I will let this one pass. Do I recommend the Organic Harvest Green Cucumber Toner to anyone? I would definitely recommend this toner to all of you because it is really nice. You should surely drop this one if you have a sensitive nose like me. Do share your favourite toners in the comment section. Swathi the toner is good but if you have a sensitive nose please stay away from it. Aditi if you have a sensitive nose I would advice you to stay away from it.? I have tried organic harvest products and this one sounds quite decent!! Charu it is a pretty good toner.If you do not have a issue with the fragrance do try it.? I can imagine when you say awful smell… grrrr… but the best thing is pump and cucumber about this toner. Would love to try.. but TBS is forever love 🙂 nice post.. I love anything that has a pump dispenser and cucumber in it but the smell is yukkk… TBS is my first love.. Thanks Yogita. Surely skip this one Archana if you have a sensitive nose.Thanks sweetie.? I have a lipbalm from this brand and it’s nice! Toners dont suit me so i’ll skip this one! Great review! Yeah I too have heard a lot of good things about the Organic Harvest lip balms.Thanks Najah. Ritam you got a chance to sniff it but the store I bought it from didn’t had a tester.I will also never repurchase it. I too love anything that has cucumber in it but this toner smells horrible.How do you prepare cucumber toner at home Karishma?? Natasha do give it a try if you can bear the smell.Otherwise it is a great toner. Anamika this toner has a horrible smell.Thanks a lot dear. i wish the smell was good! i too cant stand a horrible smell in my skincare! I too wish the same Megha.? I love using toner, but smell is a big drawback here. Alisha this toner does smell awful.It is was for the smell I would have loved it.? Anubhuti it is such a pungent smell that you can barely stand it…It is good otherwise. I wish it didn’t have an awful smell.. my nose is quite sensitive. I’ve got to avoid this product just for that. Sangeeta G recently posted…2 Monsoon Hairstyles That Will Save You from Bad Hair Day! Sangeeta it is a very good toner,wish it wasn’t that awfully smelling.? Maggie I am also disappointed with this toner. I also felt a burning sensation for a few mins. Smell is ok if it is good for my skin. But why this burning sensation? For me the smell is unbearable.